Meat Technology Ireland emerged from a five-year research vision from IBEC’s Meat Industry Ireland industry group which was presented to Enterprise Ireland. John Malone was appointed as Chairman of Meat Technology Ireland last October and Dr. John Colreavy was appointed as Director. 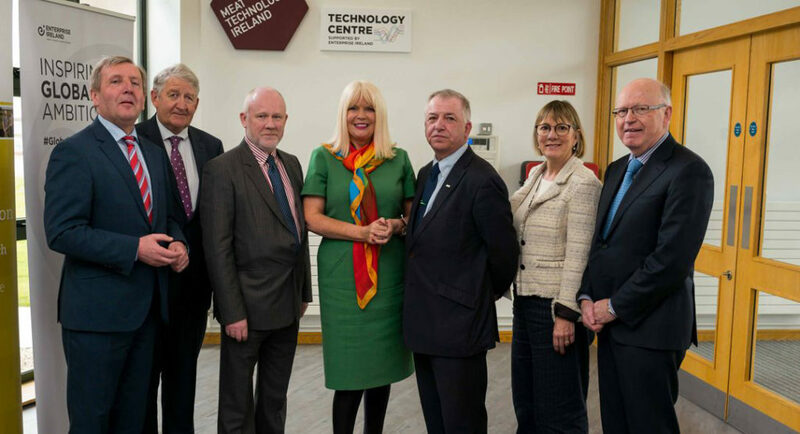 Meat Technology Ireland is a €8.1 million five-year research and innovation programme, developed by industry and co-funded by Enterprise Ireland and a consortium of nine beef and sheepmeat processing companies. The MTI is hosted by Teagasc at its Ashtown Food Research Facility in Dublin with Dublin Institute of Technology (DIT), Dublin City University (DCU), University College Cork (UCC) and the Irish Cattle Breeders Federation (ICBF) involved as research providers. The companies behind the initiative are ABP Ireland, Ashbourne Meat Processors, Dawn Meats Group, Dunbia (Ireland), Hilton Foods Ireland, Irish Country Meats, Kepak Group, Liffey Meats, and Slaney Foods International.